There’s not a lot of extra money to go around at healthcare organizations, and it seems like communication budgets are sometimes the first thing on the chopping block when it’s time for cuts. But it can be argued that the changes that are occurring right now make patient-centered communication more important than ever. We’re witnessing a long-overdue revolution in the way that healthcare is managed, paid for, and administered. It may seem like more of the same on the surface, but what we’re witnessing is as big as the shift to the HMO model in the early 90s, or the very institution of health insurance. At first, HMOs seemed to squeeze a lot of inefficiency out of healthcare, as profit-driven insurers forced prices down and made paying for care simple. But in the long run, they insulated patients from the real costs of healthcare, and set an unrealistic standard for what care should cost. Many of us became accustomed to thinking of a visit to our doctor as a ten-dollar copay rather than several hundred-dollar expense. The obfuscation of the real costs of healthcare created almost perfect price elasticity — no cost is too high when it comes to the lives of ourselves or our loved ones, especially when a faceless company is paying the bill. The other unintended side effect was a lack of personal responsibility for our own well-being. When it seems so easy and so possible to unstop a blocked artery or to swap out a bum knee, we tend to be less cautious than we might otherwise. Long the Affordable Care Act started making its way through the legislature, public and private forces had been imagining the future of healthcare. Doctors, insurers, hospitals and the government were beginning to realize that the system that once worked for everyone was now not working for anyone. Physicians were haunted by dwindling reimbursements and the lingering threat of litigation. Only the largest tertiary-level hospitals were able to remain solvent, buoyed by economies of scale and the big-ticket procedures. Patients were seeing their out-of-pocket healthcare costs soar year after year, and many employers were forced to drop insurance coverage or ask employees to pay a greater share of the expense. The federal government was alarmed as rising costs had some projecting that Medicare’s trust fund would become depleted by 2016. The industry started to coalesce around consumerism — the idea of putting healthcare recipients in the drivers’ seat of their own care, directly exposing them to the real costs. The intention was that they would make economically driven decisions, driving out redundant or unnecessary procedures and imaging, and reducing overall costs. Complicated plans were rolled out with high deductibles and an associated fund to pay for healthcare. But this also proved problematic, as busy healthcare consumers struggled to manage the complex plans and their associated health savings account or reimbursement account. Although many of these plans still exist as lower cost options, it quickly became clear that they would not be the answer for every family. The spirit of the consumerism movement lives on, as market forces continue to impact healthcare, and patients are becoming more aware of the real costs of their care. But the Affordable Care Act and associated legislature mark a shift in philosophy. Rather than an antagonistic approach of simply reducing cost, these new programs aim to bring a new focus on quality, outcomes and efficiency of care. The basic idea is simple. Rather than being paid for each service that is rendered to the patient during their stay at the hospital or office (fee-for-service) payment is instead based on the expected expense for that procedure. While the details are still coming into focus, the basic idea is that hospitals are rewarded for providing efficient care with good outcomes. Patients who receive poor-quality care or inadequate follow-up are more likely to be readmitted. What’s more, Medicare is looking at assigning patients to what is called an ACO, or accountable care organization, a group of medical professionals responsible for coordinating a patient’s care. Investing in the talent and technology to provide the best care possible. In the managed care industry, we used to call member marketing retention marketing. The idea was to provide the health plan members with such great resources, branding and information that they had less of an incentive to go to another plan. It was our job to demonstrate the value of our plans to consumers and build long-term affinity so they would choose us again when it came time for open enrollment. Kind of a thankless job when cost was typically the deciding factor for healthcare choices. But we discovered something valuable along the way. We found out that communication could do more than just brand a health plan, it could actually change people’s behaviors. Many of our members had a lack of health information available to them. In fact, the results of focus groups demonstrated that a number of people actually counted the short member magazine we sent them to be one of their primary sources of health information. They would try out the healthy recipes, or read the benefits of alternative medicine. Later, when we started to send members with chronic conditions informational guides about their condition, it had measurable effects on how often they took their medications, went to their follow-up appointments and how many emergency situations resulted from the condition. So, how does all of this relate? Patients are looking to be educated about their health and wellness, and, when necessary, about any medical conditions that ail them. Sure, there is an ocean of information available, but much of it is questionable, or worse, dangerous. For every web site encouraging healthy habits and offering sound advice, there’s one offering pseudoscientific remedies, fearsome conspiracies or just poorly researched advice. Health insurers and hospitals have a moral, and now fiscal, responsibility to improve the health outcomes and the cost of patient care than ever before. They are being given every incentive (and penalty) to encourage them to treat patients more efficiently, and to help them to get well. 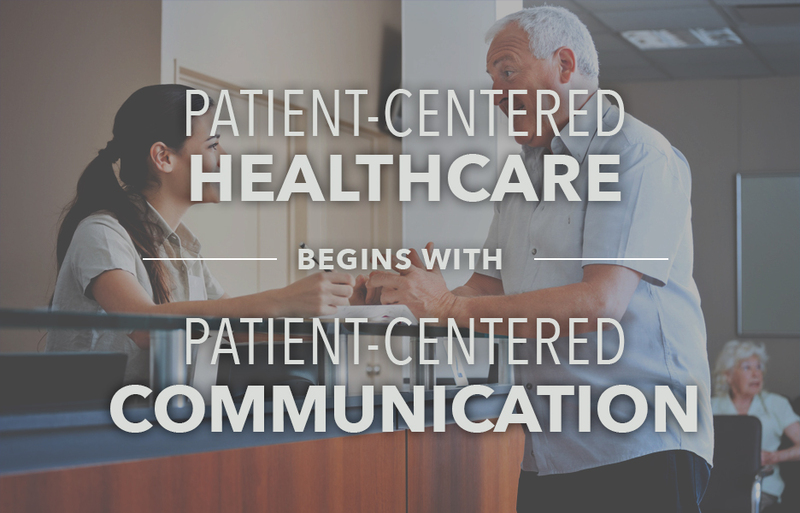 Luckily, well-crafted communications can influence patient behaviors in a big way. People who read healthy recipes or advice about reading labels may adopt a slightly healthier diet. Those seeking to begin an exercise program may be inspired by a video with a simple yoga routine. Someone coming home from major surgery may find a video brochure with post-discharge instructions a good reminder to take their medications and avoid strenuous activity. So although there is financial pressure to communicate less, it’s more important than ever to be in constant contact with community members to help them find their next level of health. Wellness publications remain a great tool for reaching out to the community in sickness and in health, to coin a phrase. There’s no other intervention that is as effective at reaching people who might not have healthcare organizations top-of-mind. But in today’s world, there are many arrows in the quiver of the marketer to create patient-centered communication. Depending on the budget, the population (their age, their state of health and their interest) and the audience, there are many ways to reach them. Among the first impressions patients have of a healthcare organization, and the most important things to look at is how you’re communicating person-to-person. Are physicians and nurses being encouraged to speak in real language to patients, or are they using jargon that can be confusing and frightening to some? Do front-desk attendants greet patients warmly and offer clear direction to them? Are nurses following up with patients after their procedure to make sure they’re taking their medications? Do call-center attendants calm worried patients down, or escalate their frustrations? Sometimes the biggest impact can come from those in-person interactions. I’ll never forget walking the halls of an area hospital with one employee of marketing who stopped to greet every patient and ask if they needed help. It wasn’t technically her job, but she understood that it was in a very real way. It made a big difference in the day of those she touched, and helped us gain some insight about signage and the facility map we were working on together. Once a patient goes home, or perhaps before they ever need to visit a healthcare facility or use their health plan, there are a number of ways to communicate with them, each with a different set of strengths. Today’s member magazine is more beautiful, more informative, and more engaging, and opens to door of a relationship with community members. Healthy people are reminded that your organization is an asset and these can be an effective branding tool. These publications, at their best, encourage healthy behaviors, make people aware of resources and inspire action. Social media is an ever-shifting landscape with many channels to keep up with. But follow a simple rule of thumb. If you don’t understand a social network, or why people access, use and enjoy it, don’t post there. Many rush to the next big thing without truly understanding what they can offer to their customers there. There are a number of ways that a newsletter can be distributed online today, from inexpensive mobile apps to engaging, customizable email blasts and everything in between. At Onward, we’ve created onHealth, which is a remarkable piece of software that gathers information from your site as well as general interest health information, categorizes it and serves it up to users based on their preferences in an app, on the web, or in an email. Although digital platforms typically take an extra step from the consumer to seek out this information, they’re a powerful tool that also can help marketers learn more about their constituents preferences. Making up more than half of all online traffic, video is red hot. That’s because it offers instant gratification. Video is engaging, moving and requires little effort on the part of the audience. Video is a great way to get across a complex idea, send a sincere or timely message, or move people emotionally. Video is also a fantastic tool to inspire donors who are the lifeblood of the modern hospital. Bringing together the immediacy of print with the captivating qualities of video, video books are another exciting tool to bring a message into the hands of the audience. Video books are delightfully novel, a sort of super Hallmark video greeting card. We can load up to 4GB of video on these embossed, fully customized printed video books and that video plays instantly when the piece is opened. We can even add buttons to offer a menu of many videos to the viewer. Alongside powerful mobile applications for sharing newsletter content, we can create other powerful applications that allow users to search for a doctor, monitor their health status and access their coverage information, or applications that can act as a health coach, a food journal or even a fitness trainer. Patients want to hear from their health insurance providers, doctors and hospitals. Yes, there’s a challenge in communicating in an environment with such financial limitations. But what’s possible with modern technology and a collective of creative writers, designers, programmers and videographers is only limited by your imagination. The greatest delight for us is when we can help one of our partners solve a problem, and make a real impact on the lives of patients.